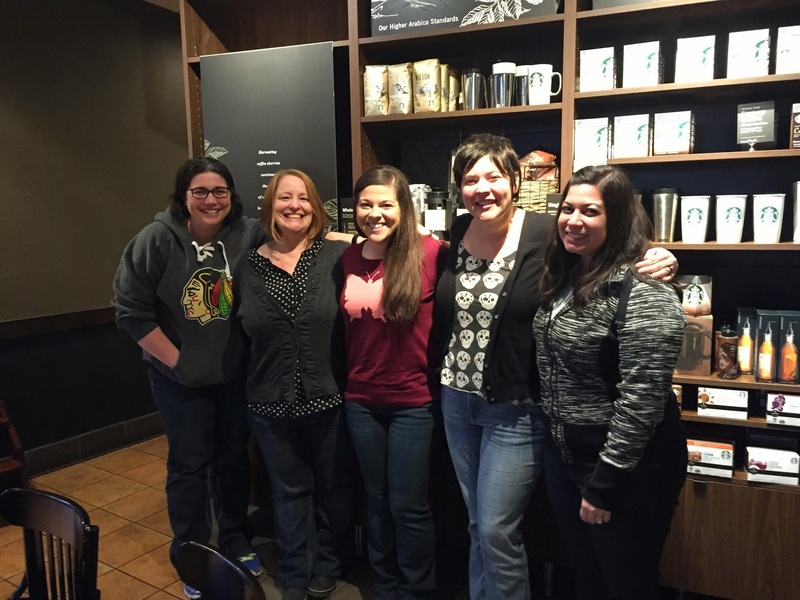 Runs To Get Waisted: Coffee with Katie! 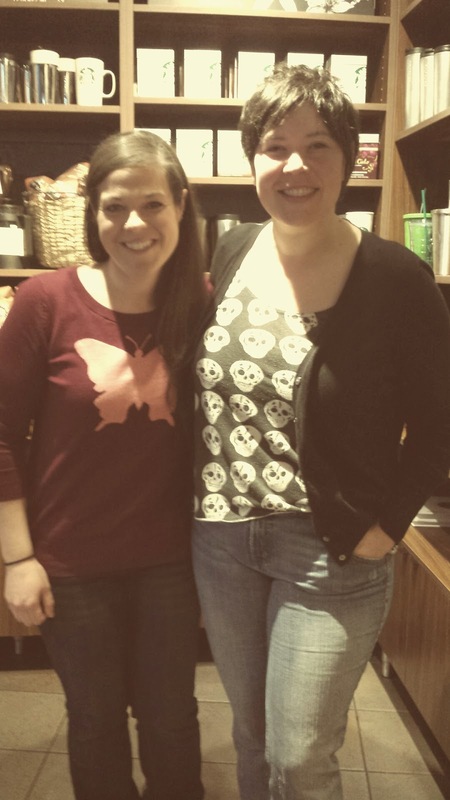 So an awesome thing happened this weekend, and that awesome thing is that I got to meet Katie from Runs for Cookies! Yesterday's post was so long and I was feeling so grouchy that I decided to hold off on my recap of meeting Katie until today. It was such a big deal that I wanted to give the moment its own special time and attention. So if you are a reader of Katie's blog, you know she's in Portland for a few days. The original intent was to run the Shamrock, but since she was injured she decided just to spectate. She was gracious enough to put out the opportunity to come have coffee with her at Starbucks if any of us local readers wanted to join. When I got there it was just Katie and another reader, Laurel. Katie is just as she comes across in her blog, very nice and approachable. I am usually very nervous about meeting new people, especially if they are women (thanks middle school bullies! ), but I felt very at ease right away with Katie and Laurel. Katie and I actually hugged hello, and Laurel was also very welcoming. Two more readers, Emma and Katie, showed up, so we had a nice small little group. Everyone was super cool and conversation flowed pretty well. We chatted about our pets, weight loss, running and various other small talk. We all hung out for a little over an hour before Katie had to get going with her other plans for the day. It was a great experience, and I am very thankful that Katie was so gracious for taking time out of her day to meet with us! It was also great to meet some cool local ladies and chat with them. Hopefully we can all cross paths again soon! It was so awesome to meet Katie and it was fun to meet you as well! Yes! We will have to get together and walk soon! It's nice when people are as nice in real life as you expect based on their virtual personas. Very cool! She is definitely just as she seems on her blog! A little shy I think, but I think it's hard to avoid that when you are meeting a group of strangers from the Internet! I am super jealous. Glad you had a wonderful meet up and it wasn't as bad as you thought it was (stupid middle school bullies). Yes, it was really nice. I just get more worried that everyone will think everything I say is dumb. It's totally an old habit. Awww, I'm so humbled by this whole post! It was fantastic to meet you. Yes, I am definitely shy (and I was SO nervous about the meet-up), but I am glad that you think I am the same as I seem in my blog :) I had such a great time in Portland that I'm already planning on going back next year, so we'll have to get together again!